A hugely happy and optimistic “passing out” ceremony took place in the Bellevue Chapel just up the slope from the park, when the fourteen young people who had participated in the Action for Children Inspiring Scotland Challenge completed their seven week period of work experience and were presented with certificates. All were confident, ebullient and enthusiastically keen to get on with their lives, with many of them highly articulate in expressing what the experience had meant to them and what their hopes were for the future. They will have the opportunity to go on to six month paid work placements in the construction industry and/or secure apprenticeships or full time work, all with the support of Rathbone UK (Edinburgh) and the Action for Children Youthbuild programme. This was a project for young people by young people. We have been left with a legacy of which the participants can be justly proud. Ground was levelled and resurfaced and in places paved. Rotting railway sleepers (originally installed as space definers and now redundant) were laboriously hacked out. 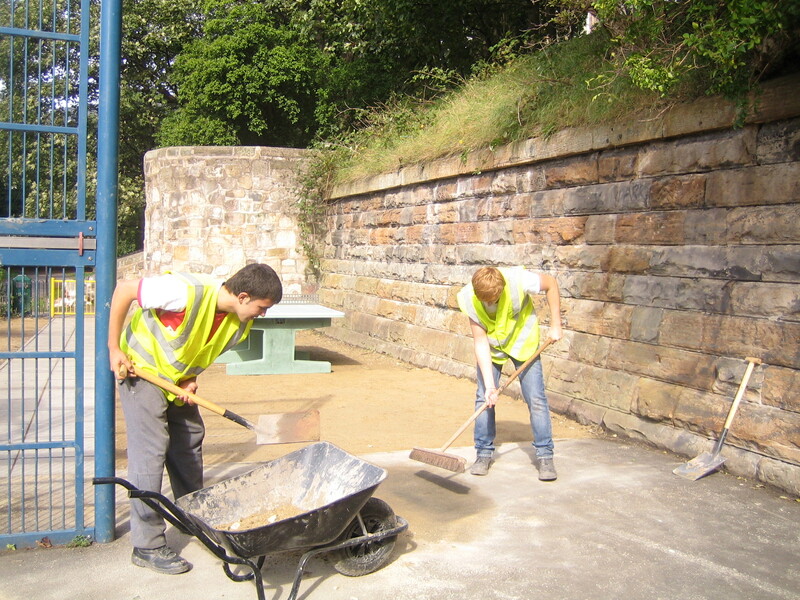 The remaining sleepers were given a coat of wood stain, play equipment was painted, weeds were removed. The piece de resistence was the installation of the concrete table tennis table. We are enormously grateful to all the supporters, partners and contributors listed below, but especially to Callum H and Callum C, Rytis, Kamran, Gary, Marco, Gavin, Calvin, Mac, Paul, Douglas, Lloyd, Mate and Emma, who actually did the work. We wish them all success and happiness in the months and years to come. Of the many other people and organisations who helped us to bring about the project we are grateful above all to Action for Children, who seized the opportunity when a first tentative approach was made to them, and to their partners, Rathbone UK (Edinburgh). The City of Edinburgh Parks and Greenspace staff were keenly supportive and helpful. Build Centre in Eyre Place was hugely generous in donating materials and Advanced Construction Scotland kindly loaned the digger needed in the early stages of the work. We are deeply grateful for timely and essential grants from the Scottish Community Foundation, the Westminster Foundation, the Ryvoan Trust and the Council’s Youth Projects Fund. The congregation of the Bellevue Chapel in Rodney Street, just up the slope from the park, helped enormously by agreeing to use of their hall for the duration of the project, thereby saving us the cost of hiring a welfare unit. They also ran a quiz night to raise funds. Simon Laird Associates, architects, have a long partnership with us and we are grateful for their contribution of time and skills in drawing up the plans for the project and the specific design of the seating (unfortunately still to be manufactured as time ran out for this part of the progamme) and for the donation of sandstone paving. The backing of the police was invaluable. Community policemen PCs Simon Daley and Greig Stephen had provided the inspiration behind the moves to create a dedicated space for in our park for teenagers, in the hope of giving them better things to do than cause trouble for themselves and others out of boredom and alienation. The story was covered by The Edinburgh Reporter and STV. 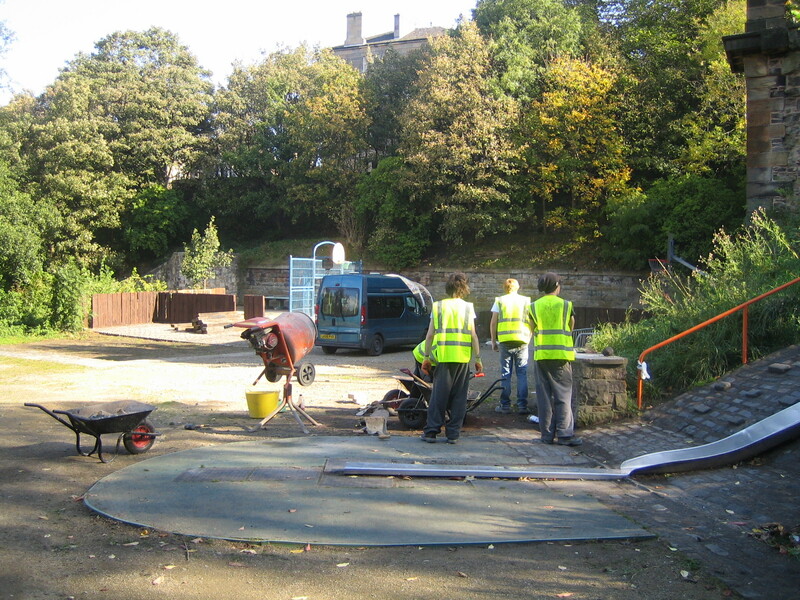 To our great delight many pieces of a jigsaw came together on 29th August when 14 young people from north Edinburgh aged 16-18, who are not in education, employment or training, gathered in the park to work to make it a more pleasurable place for younger teenagers to hang out. The 14 young people – 13 boys and one admirable girl – will have something worthwhile to put on their CVs at the end of a seven week programme and from all accounts they are determined to make the most of this opportunity. The programme is managed by Action for Children through one of their Inspiring Scotland Youth Challenge schemes. 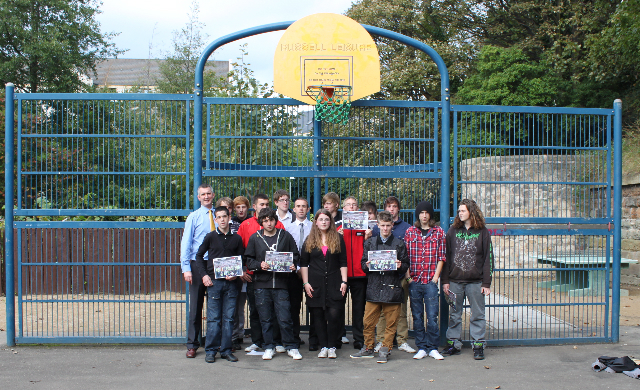 AfC works in partnership with Rathbone Edinburgh, a youth employment voluntary organisation. The young people are recruited by Rathbone who source their wages and they are supervised by AfC staff who have the appropriate construction skills. Between them AfC and Rathbone have a good record of helping the young people who take part in these programmes to capitalise on their experience and go on to more long lasting employment. ground levelled for table tennis table. 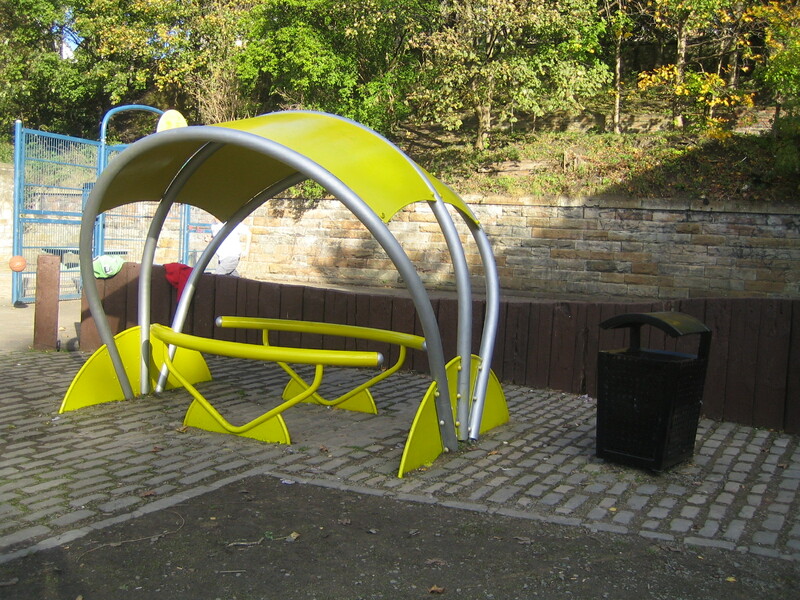 In our park, as a result of the work going on, young teens should soon be able to enjoy use of a concrete table tennis table and be able to hang out on colourful bespoke linear seating constructed on a core of salvaged railway sleepers, currently redundant but formerly used in the park as space definers. 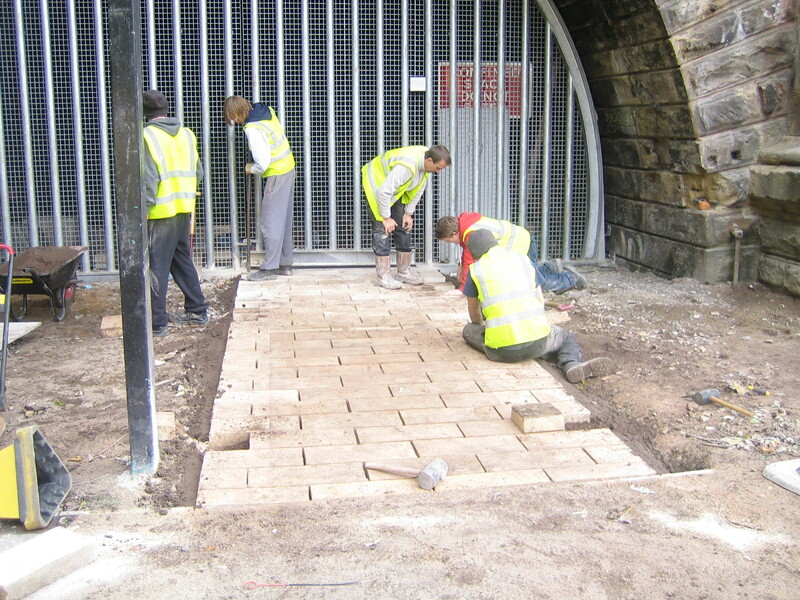 The ground in the mouth of the disused Scotland Street Tunnel will be levelled and will acquire an attractive surface which will include some donated sandstone paving. Another path will be laid. The heavily tagged existing play equipment and some of the remaining sleepers will be painted and general tidying up and weeding will be carried out. The programme should wind up with a display and presentation on Friday 14th October in the Bellevue Chapel in Cornwallis Place. Details to be announced. The under-fives who come to the park have been well served by their enclosed play park, with its grassy area where parents sit and chat in good weather. However, despite a revamp of the eastern section of the park in the autumn of 2006, jointly funded by the Council and by the National Playing Fields Association (now Fields in Trust), the facilities for older youngsters and teenagers have been sadly deficient. There is an irony in this. 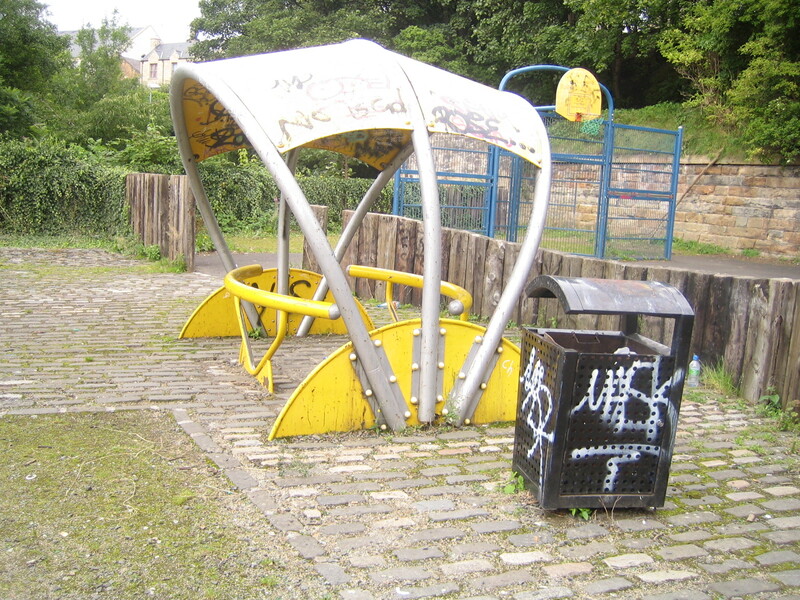 In 2007 the local community police were becoming concerned about the antisocial behaviour of the large groups of young people who were gathering regularly in the playground of Drummond Community High School, drinking and disturbing nearby residents with noise and low level vandalism. Frustrated by the pointlessness of continually moving the young people on the police called a meeting, expecting a handful of kids to attend. In the event over 100 turned up. As frustrated as the police, they said “there is nothing to do around here” and “where do you expect us to go?” All they wanted was somewhere safe where they could hang out but not experience harassment or disturb others. The police could suggest only that they repair to the park, where at least they would be unlikely to cause the same level of disturbance to local residents. 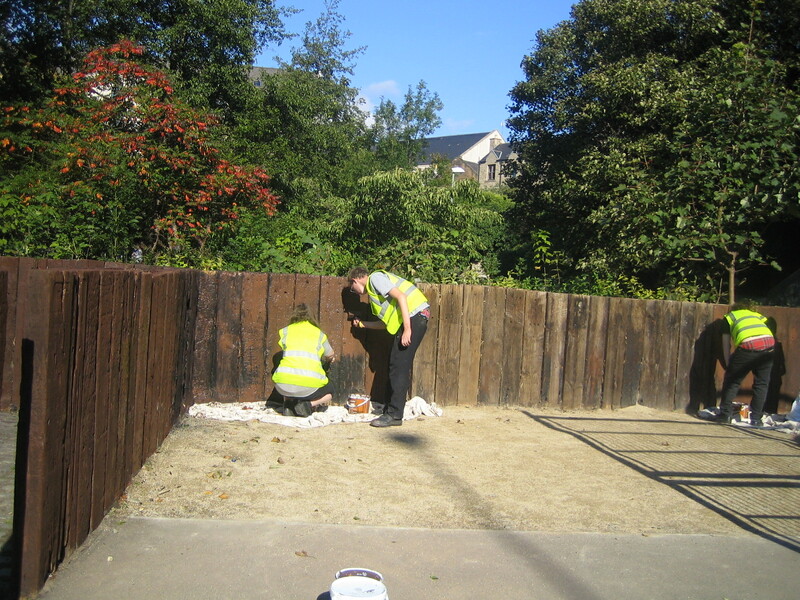 However, aware that they were encouraging the kids to frequent an area lacking in appropriate facilities they set up a working party to investigate ways of rectifying this lack. The working party consists of the police, local councillors, a firm of local architects, staff from relevant CEC departments, including a youth worker from Community Learning and Development, and the Friends. The architects, Simon Laird Associates, carried out a consultation with representatives of the local community, funded by a Community Fund grant from the CEC Inverleith Neighbourhood Partnership. This was backed up by a survey of 50 young people carried out by Callum McLeod from CEC Community Learning and Development. 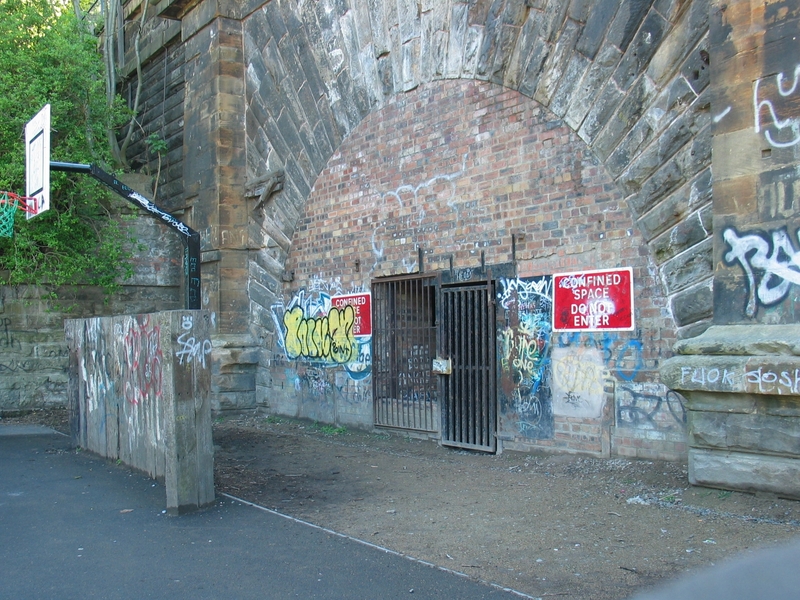 Lots of imaginative ideas came out of these consultations, with support for the vision that community policemen PC Simon Daley and PC Greig Stephen had always harboured for the use of the disused Scotland Street railway tunnel as a youth and community centre. As a start the working party agreed to create a simple youth shelter in the mouth of the tunnel. 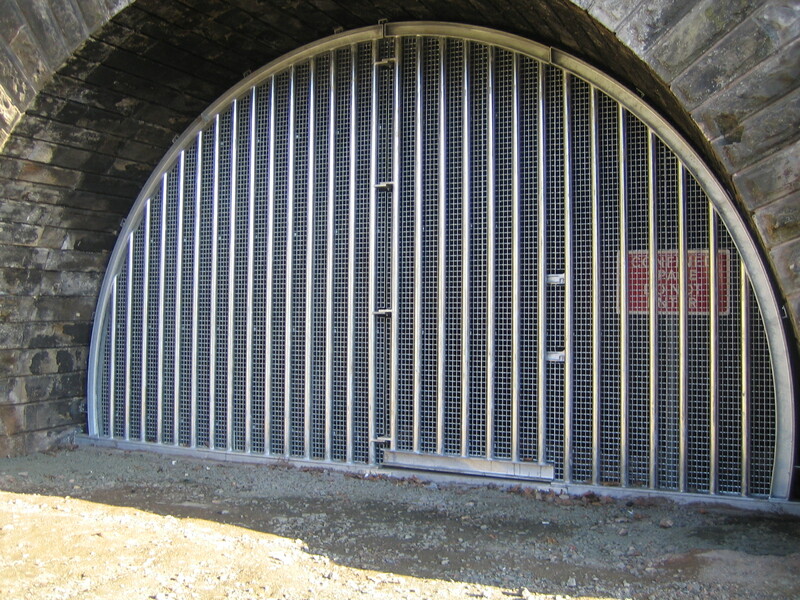 For the demolition of the heavily tagged and unsightly brick infill and its replacement by a stylish galvanised steel screen, designed by Simon Laird Associates, funding was secured from the Inverleith, City Centre and Leith Neighbourhood Partnerships, from Edinburgh World Heritage (the tunnel is a b-listed structure) and from various supportive local bodies, Broughton St Mary’s parish church, Stockbridge Village Festival, the Spurtle, the Friends and a particularly generous local resident who preferred to remain anonymous. 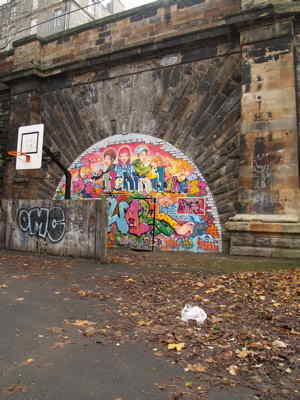 The screen was finally installed in the spring of 2010 but beforehand in late 2009, Callum McLeod who had been running a weekly open air youth club in the vicinity of the tunnel, persuaded a noted graffiti artist, Elph, to lead a group of club members in painting a vibrant mural on the brick infill. Graffiti art is almost by definition ephemeral and this mural was no exception, but after its demolition some painted bricks were salvaged and stored in the tunnel with a view eventually to being sold with a certificate designed by Elph, to help raise funds for further development. 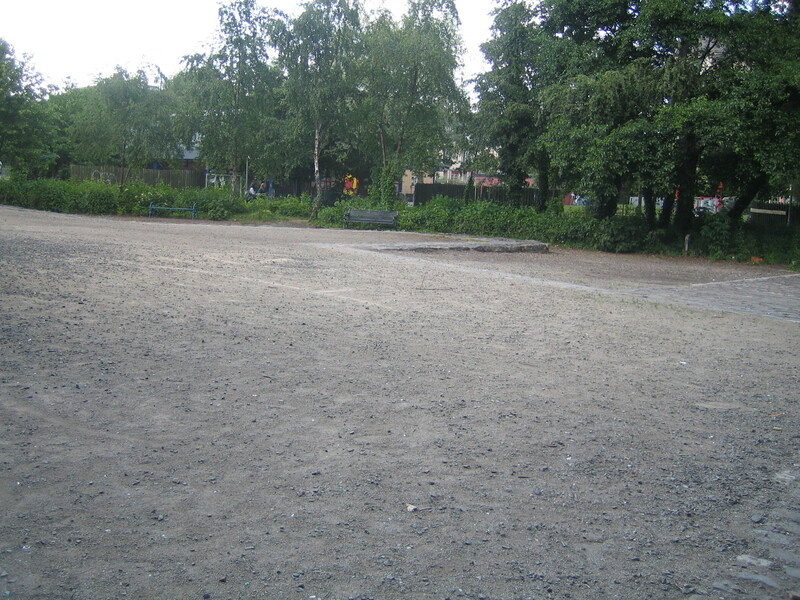 A lack of lighting in the eastern section of the park, an area at a distance from the main paths, was identified by the working party as a safety hazard for young people and a handicap to the success of the open air youth club during the months of limited daylight. 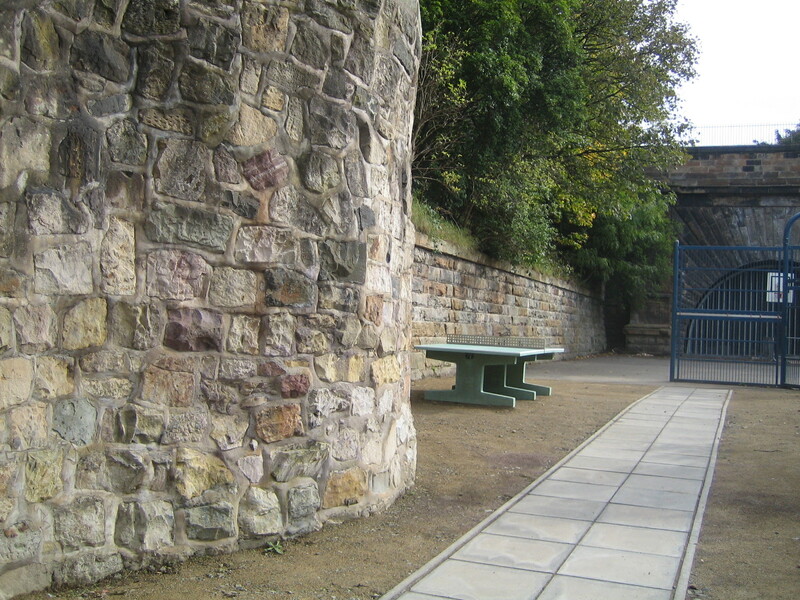 In October 2010 the working party welcomed the agreement of CEC Road Services to undertake the maintenance of any lighting installed in the area and of the Inverleith Neighbourhood Environmental Programme to meet the cost of installing lamps on the subsidiary path which leads down to the tunnel from the main Royal Crescent path and a lamp in the basketball pitch.